This summer, I spent three weeks travelling down the West Coast to visit family and attend a family wedding. 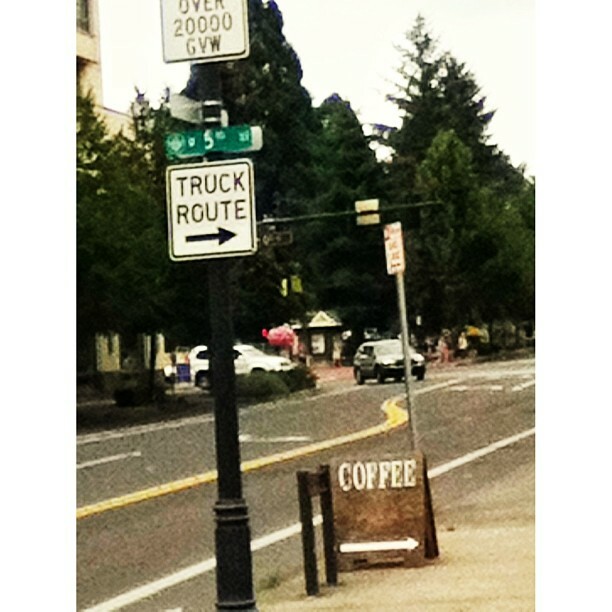 Of course I got to try a little coffee along the way. We travelled from Vancouver BC, down through Seattle and San Juan Island, Vancouver Washington and Portland Oregon to a week or so in Pasadena and LA. Coming from the London coffee scene, it’s always been a contrast to drink coffee stateside and this, more than any, was an opportunity to taste a variety of roasts. Vancouver is one of my favourite cities, period. This trip only scheduled one day in Vancouver and we were staying in the West End As well as enjoying cycling round the city and the park (surely Vancouver is one of the most cycle-friendly cities in North America)’ and eating some great Asian food, I sampled a few cafes, dark roasts are popular on the whole but some lighter roasts can be found if you know where to look. The best place I discovered was the fabulous Revolver. 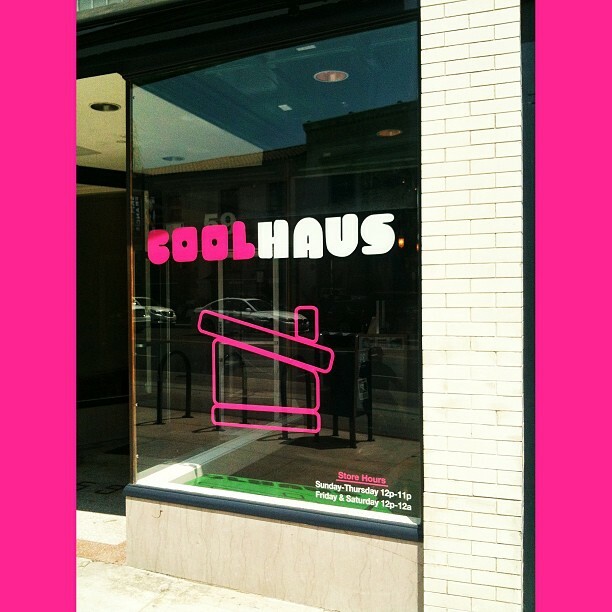 Great place, neat design, friendly skilled staff. I loved the ‘free house’ style of offering a range of roasters. 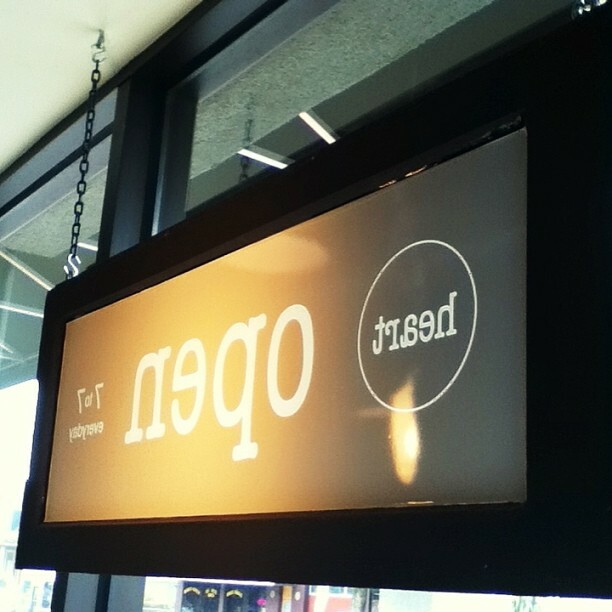 In fact, so many roasters that it begs the question, ‘How do they keep everything dialed in?’ They offered 2 espressos (a Panamanian single origin from Phil and Sebastian and a blend from Ritual. I sampled the Panamanian (the Finca Hartmann) in a flat white which retained a smidgen of the orange and vanilla notes; then a pourover of Heart‘s Yukro Ethiopian. I was keen to get to Heart and didn’t know if I’d manage it so chose that as a failsafe, some time later actually getting to Heart and finding the very same coffee on. The tasting notes were black tea, strawberry and lemonade. The tea was very apparent and the berry notes were there, if slight. 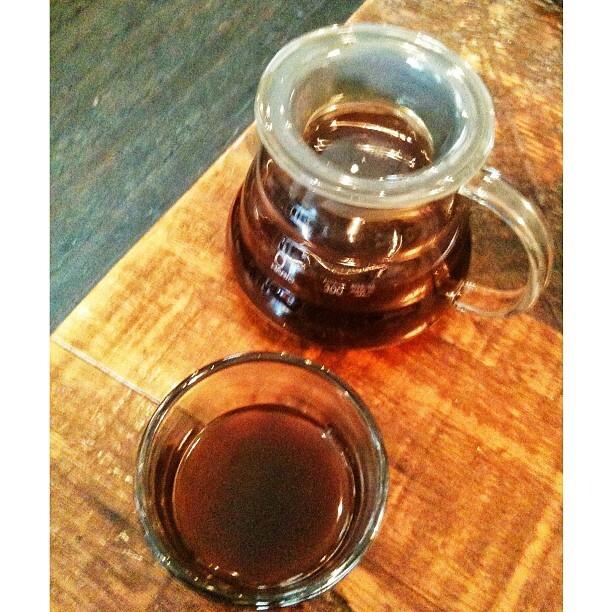 Both this and the Phil and Sebastian were roasted lighter to bring out more of the acidity. What I wondered about, on reflection and on chatting to others was the question of the number of filters on offer. 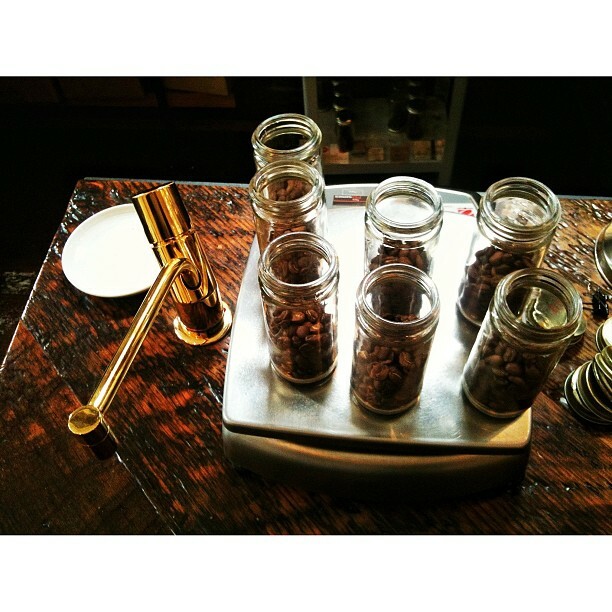 The menu offered 10 coffees from 5 roasters. How could that all be dialed in as well as possible? Well the Heart I had was pretty good so they must have a system, they were very well staffed. I didn’t really enjoy Seattle to be honest on my brief visit, probably we seemed to staying in the wrong area. Pike Place was worse than I remembered – purely a tourist shell, in Belltown the mentally ill and addicted were seemingly left to wander the street. It all seemed very car orientated too and even the sea front was scarred by a huge highway. This was a brief trip to catch a ferry and then on return. There was little time for coffee. Sadly I never made it to the highly rated Millstead & Co recommended to me by the guys at Revolver who pointed it out in their copy of the excellent looking book by Liz Clayton, ‘Nice Coffee Time’. I did get to pop into a place called Zeitgeist on the return visit. They roasted their own beans and I had a fairly dark roast but decent cortado and a good sandwich. I’m sure there are some great parts of Seattle so feel free to recommend them to me. We came here for somewhere new, for nature and seafood and escape from the city. We stayed in a wonderful motel (Earthbox) and had some great times but the island had its ups and downs. Ups included cycling, watching the whales and finding an unexpectedly good taco place. Downs included the effective privatization of most of the coast (only a few yards of beach on the whole island were public and the surprising lack of cycle friendly roads. The roads were dominated by huge trucks at speed and cars and few road markings so cycling was a great way to explore the island but hairy. 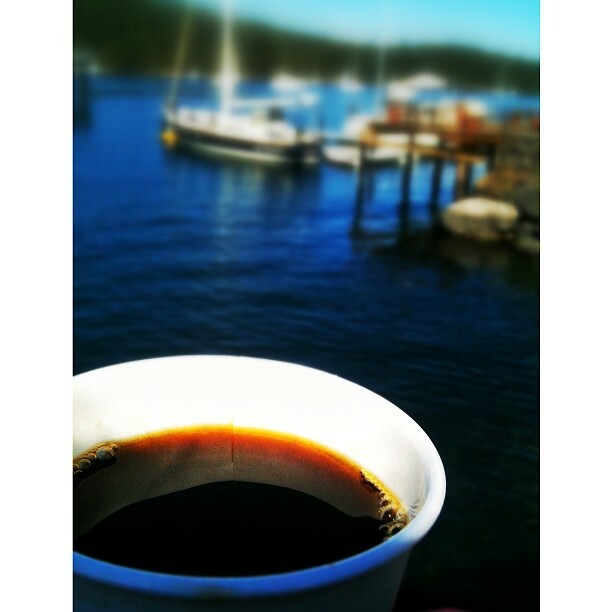 I was very surprised to find San Juan Coffee Roasting Company‘s little place in Friday harbor by the sea. They made batch brew and had an espresso machine and though dark roasts tended to dominate there were some very decent roasts including a stellar Guatemalan Huehuetanango and what a great location to drink coffee in! That was before I discovered they did mugs rather than paper! 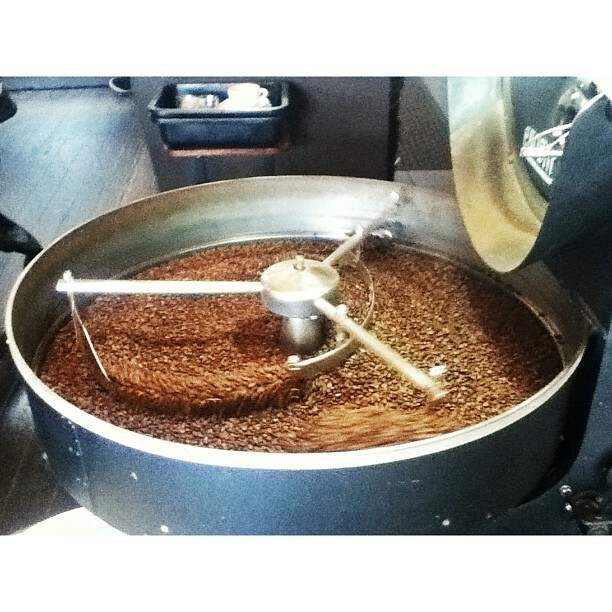 I didn’t expect to find a fine coffee roaster a brief walk from our Vancouver hotel. We also enjoyed Vancouver’s family feel and cycling and walking by the river and in the parks. 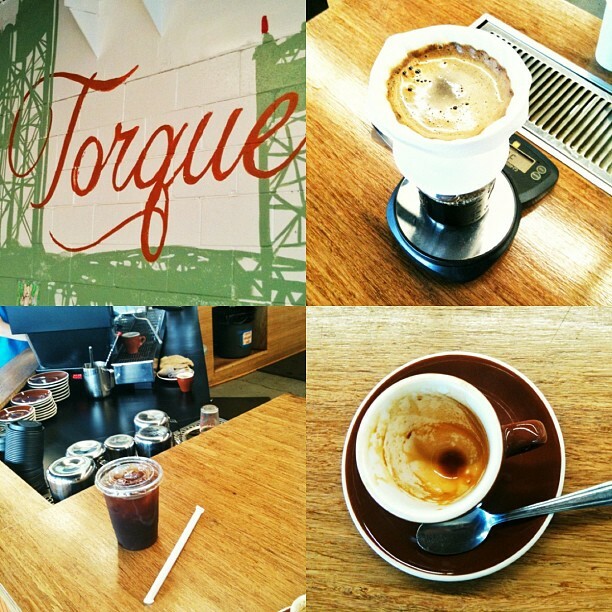 Torque have a vast space, very attractive and roast and serve coffee there. They also serve Coava beans. I particularly enjoyed Torque’s cold brew which was a blend (of Malawian and Costa Rican specifically roasted to a profile to suit cold brew. This was served (US style) in huge containers with ice and proved tasty and sweet. I also loved the Costa Rican Costa Azul as filter with it’s grapefruit notes that also came through strong as a single origin espresso. 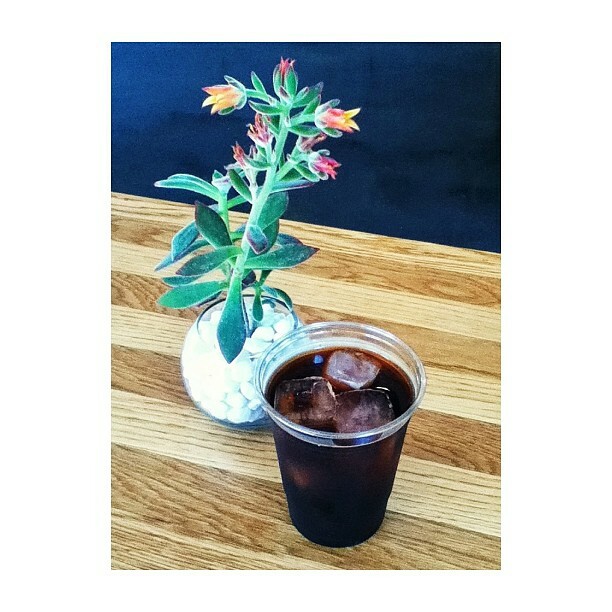 The Coava espresso I had there was sweet and balanced. It’s also one of the friendliest places visited. 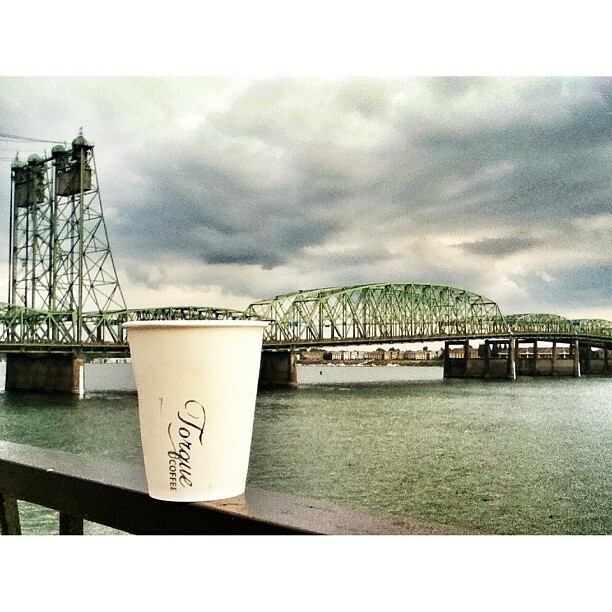 Portland is one of my favourite cities. We’ll definitely be back soon. There were definitely hints of Portlandia in some areas but the city has so much to offer and I’ve never seen a higher proportion of fixie bikes and the food carts in areas like Mississippi were great.. We particularly like the cycle friendliness and a great cycle tour of North Portland led my by nephew. This was a very brief visit. The fit out was very high-end looking. 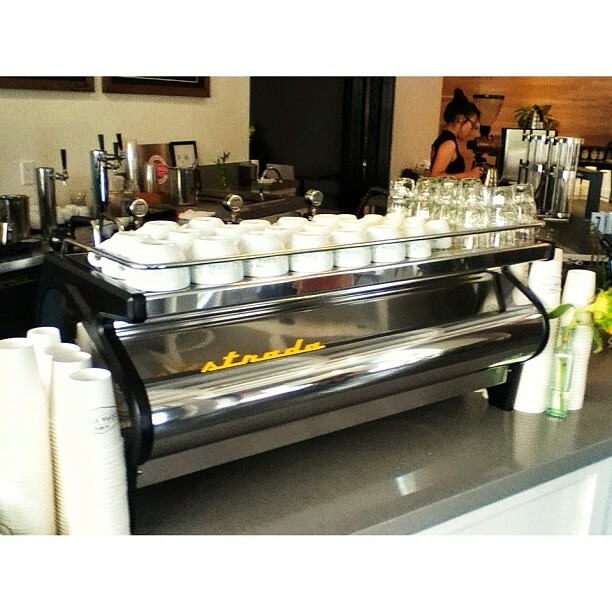 They have a couple of very shiny espresso machines including a great looking Slayer. 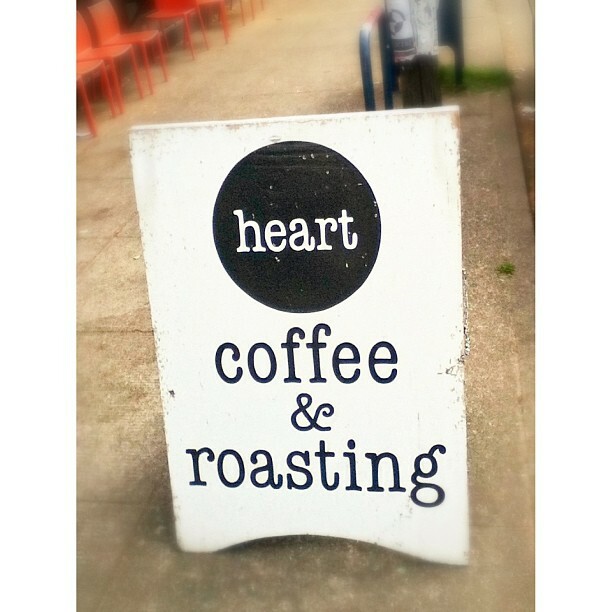 They serve coffee like they care about it with a passion and with no compromise. 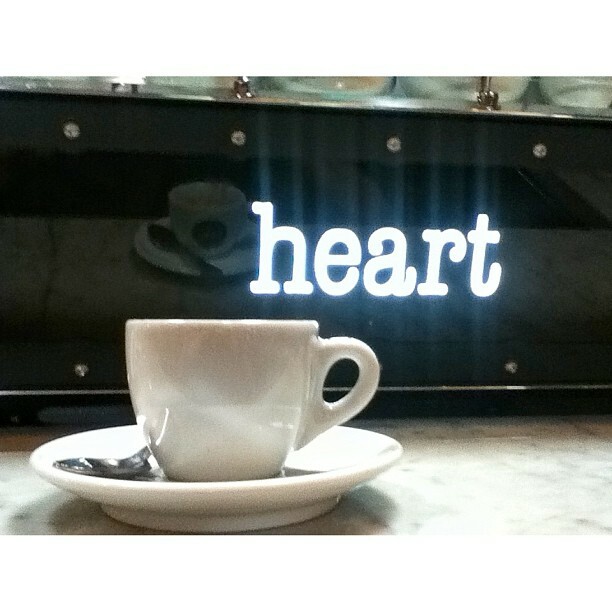 I loved my single origin espresso (after waiting an age for what seemed like 400 ice lattes served ahead of me). The staff were very efficient though. 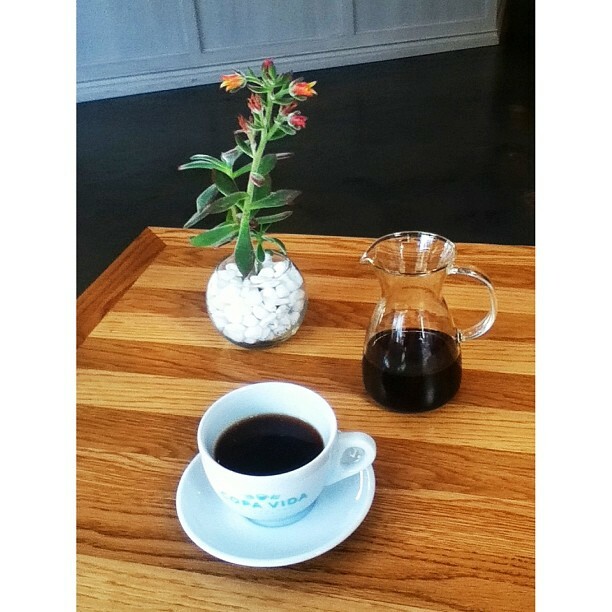 The Sidamo was well balanced with hints of jasmine and stone fruit. Everyone who I’d talked to in London before the trip told me I had to get to Heart and I wasn’t disappointed. It’s a way from downtown so I was grateful for a lift from my brother in law. At the time of our visit the Yukro held court which was slightly disappointing for me as it wasn’t my favourite coffee but it was indeed a great space and a great roaster. The guy at the counter misheard me and I got a Yukro batch brew with an intense black tea flavour and a hint of lemonade as it cooled. As an espresso it had a great mouth feel and the lemonade came through. The Stereo Blend espresso worked better for me though, well balanced sticky, sweet and thick which mixed Ethiopian and Colombian coffees. The space encompassed room for roasting, retail sales, artwork on a ‘heart’ theme, batch brews, espresso machine, brew bar and ample seating without feeling in the least cluttered. The branding is strong but the place felt organic, not corporate. A short plane ride later and we were in Burbank with just over a week to visit family in Pasadena and enjoy Pasadena and LA. Sadly I didn’t make it to Handsome this time as their location in the Arts District (the LA version of Shoreditch) is hard to get to without a car. 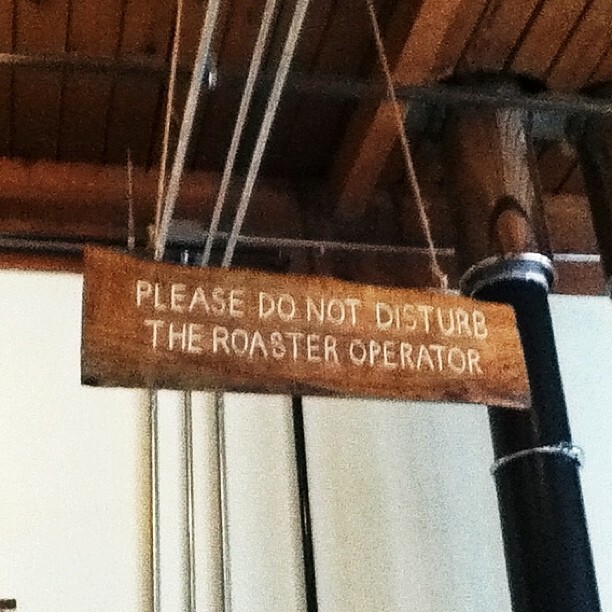 Verve are planning a roastery/cafe in the same neighbourhood and Stumptown are planning on opening in the cit.y. 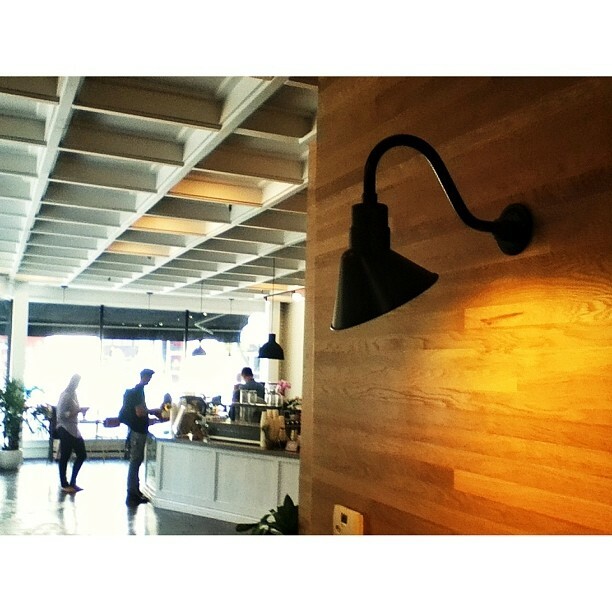 With several independent cafes opening in LA every month the scene is expanding (if at nothing like the rate of London). What was exciting in LA this time was the increase in the number of progressive food places and high quality pop-ups in addition to the great traditional Asian food and various burgers that can be found in LA. On the subject of food, we made our annual trip to Little Tokyo and as well as enjoying the food we visited Cafe Dulce which has always been one of my favourite little places. It was a sad time as one o the founders had recently passed on but the coffee, drinks donuts were, if anything, better than ever. They always did a good job with La Mill (especially in Vietnamese style coffee) but this year the menu and retail section featured coffee from Verve, Stumptown and Madcap. 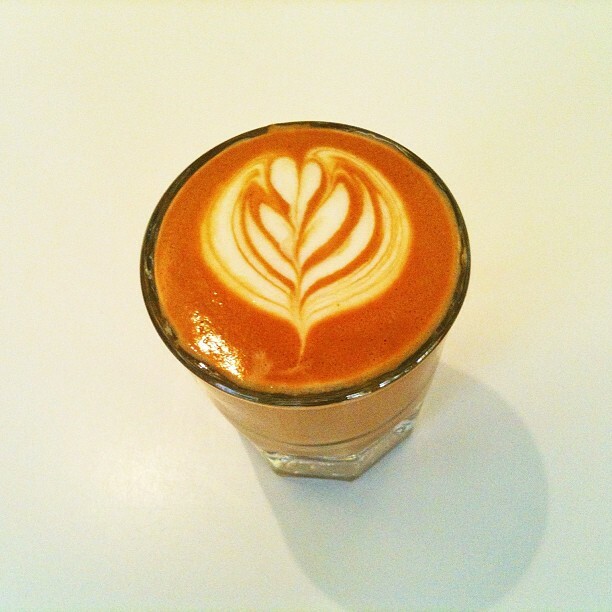 A Gibraltar hit the spot, made with their own roasted beans still very fresh and vibrant, almost over-fresh. 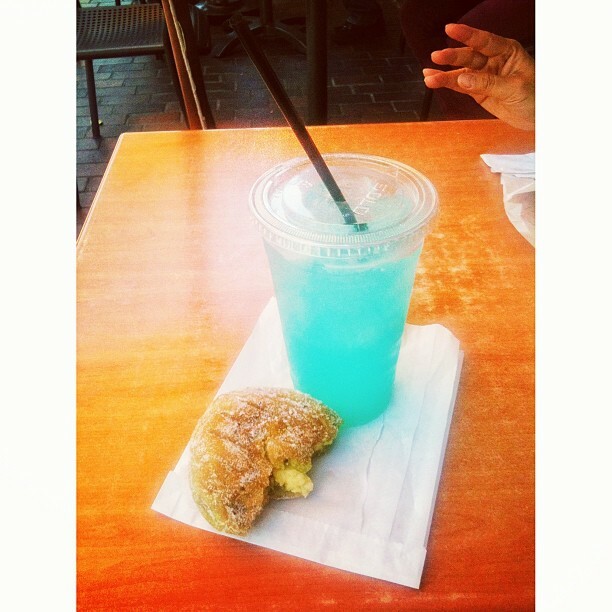 The green tea and bacon donuts were good as ever, the salads looked great and a blue ‘Aoi’ lemonade with curacao was something else. 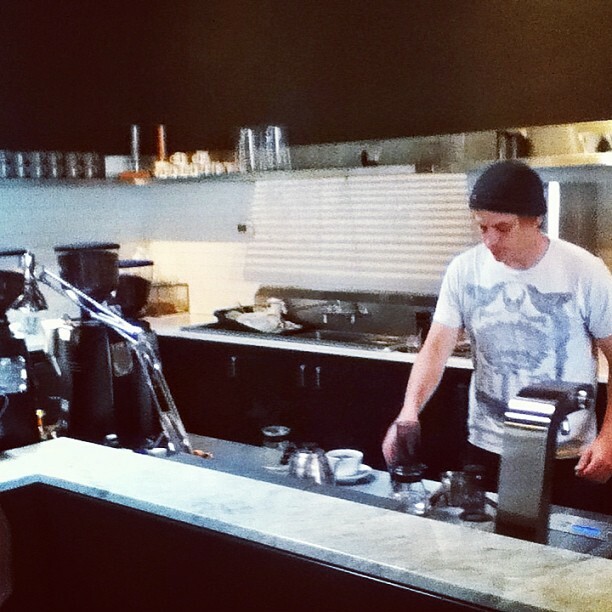 Kyle Glanville and Charles Babinski have opened two cafes since I last visited, Go Get Em Tiger which I’ve yet to visit and G & B Coffee which sits at the top of Grand Central Market. The cafe consists of a long, elegant bar…more typical of a different kind of drinking establishment… with seats at the bar and nearby. The market is known for great Mexican food (not always the cleanest looking stalls but some of the tastiest around). At the North-West end of the market there are now some newcomers: a great progressive popsicle stall (really! ), Horsethief BBQ (very good indeed) and G & B. On the menu were coffees from a range of roasters. The menu (as well as a great looking range of teas) listed Epic espresso from 49th Parallel, and two filters: the Yukro again (from Heart) and a Kagumoini from Ritual and also a cold brew. 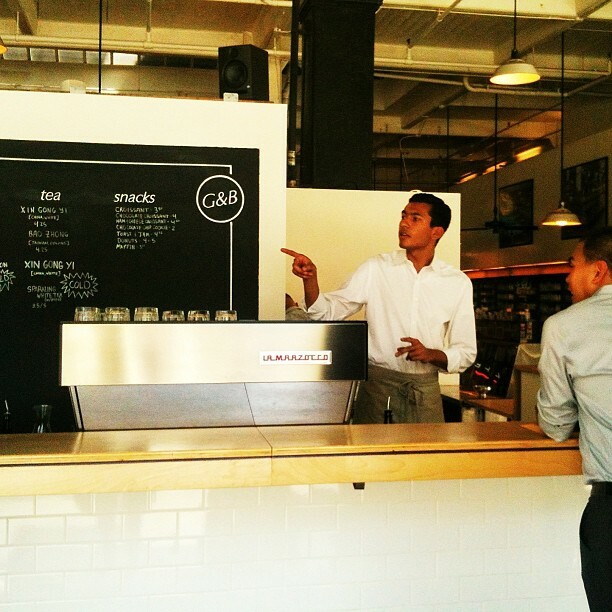 Coffee was on sale roasted by Intelligentsia and Handsome as well as those listed. The Ritual Kagumoini was quite dark and at first bonfire toffee dominated but notes of fruity hard candy same out as it cooled. 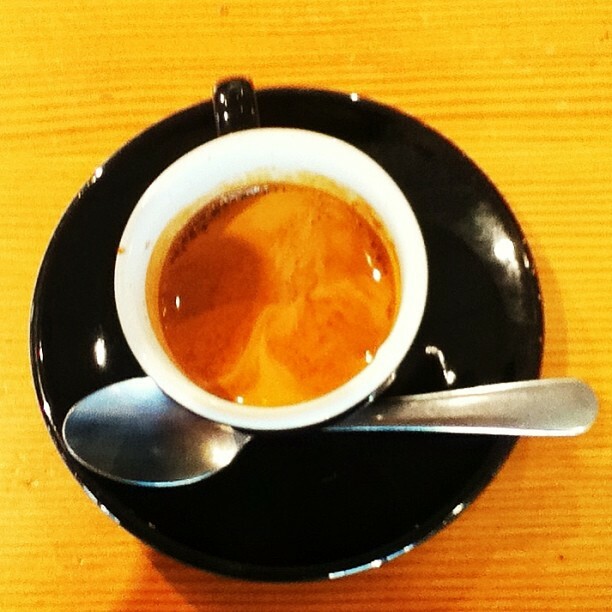 The espresso was poor: soapy, soupy, grainy and thin. The barista spent twenty minutes trying to dial it in to better effect for me and managed a little improvement (bringing out a little baked apple flavour) but it still disappointed. To their credit G&B obviously really cared about the coffee and refused to charge for the espresso which now doubt is top notch most days. I will be back. 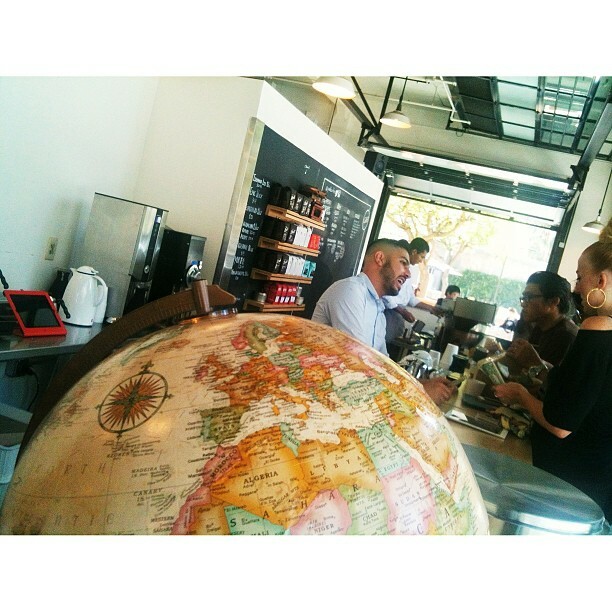 Altadena, Moterey Park and other suburbs of LA are mostly Asian inhabited and offer wonderful Asian food options but I was very surprised to find my best coffee experience in LA there. 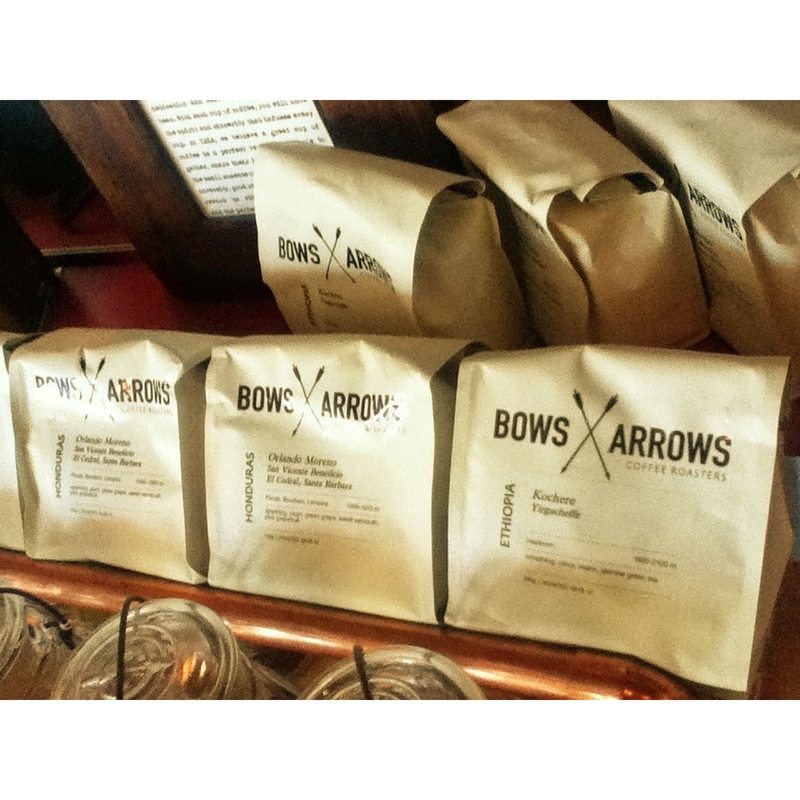 This place is relatively new and presents beans rotated from many of the best North American Roasteries: Bows and Arrows (Victoria), Handsome, Heart, Kuma (Seattle), Verve, Bluebottle, Stumptown, Coava etc. The owner describes it as a ‘social coffee house’ and it very much is. 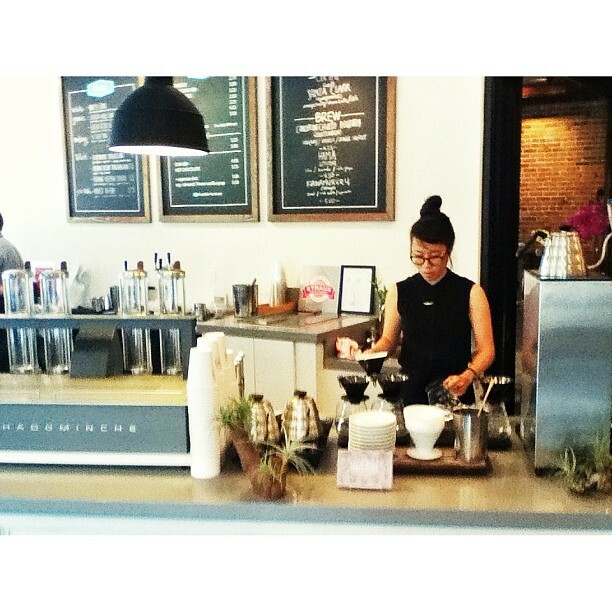 I received great service from the staff and was soon chatting away with many of the regulars. 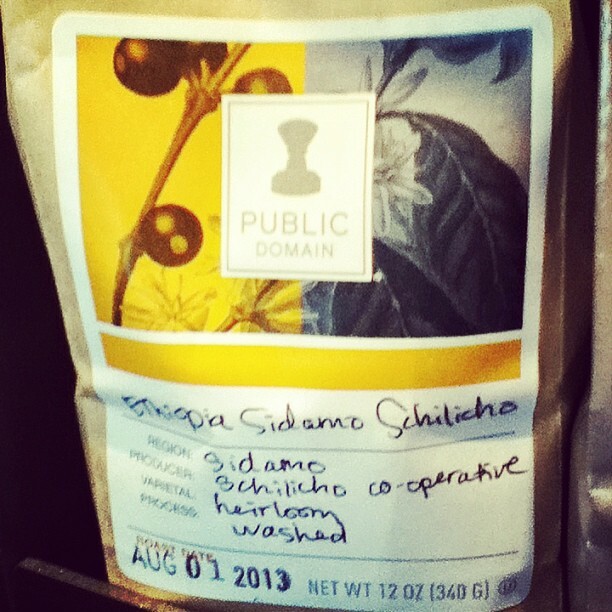 I tried a brew made in the Clover machine of a natural Ethiopian roasted by Kuma. I had missed the wildness of a natural process during the trip and the Gelana Abaya was a lovey one with ripe strawberry and raspberry dominating. 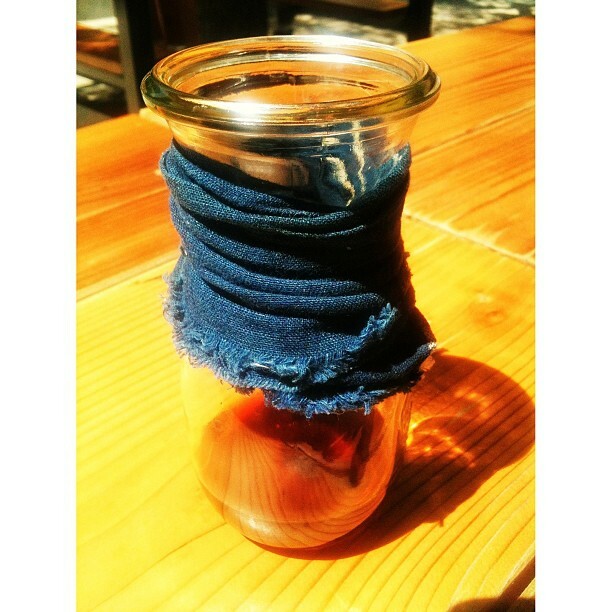 I had a Bluebottle espresso which was fruity and balanced. 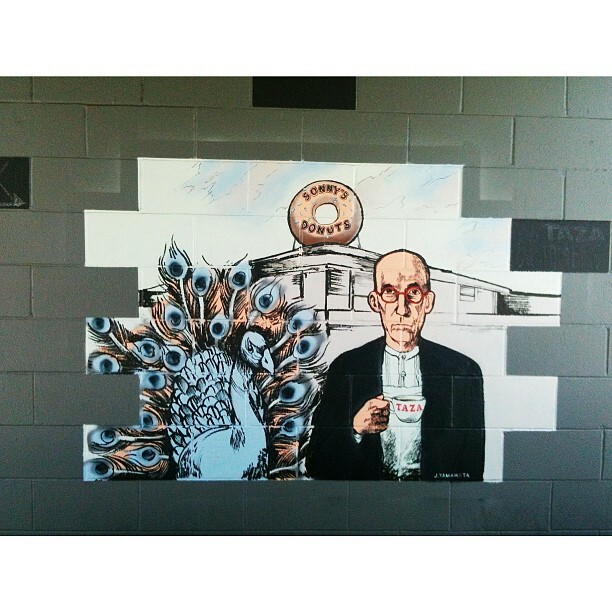 The owner described the place as on the frontier of the coffee wastelands beyond and adds to the appeal of this fabulous place with quality donuts and baked goods and frequent pop-up chefs in the evenings. I loved this place! I have family in Pasadena and enjoyed trips downtown where in previous years I have studied at LA Music Academy. This year a couple of coffee places were on my agenda as well an ice cream place and Sushi Ichi, reknowned among Pasadena sushi eaters (as recommened by a customer at Taza. 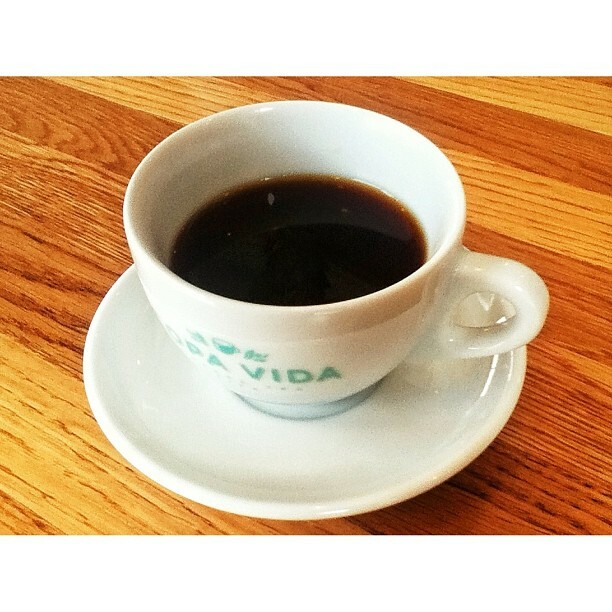 Copa Vida is a huge new space on Raymond. 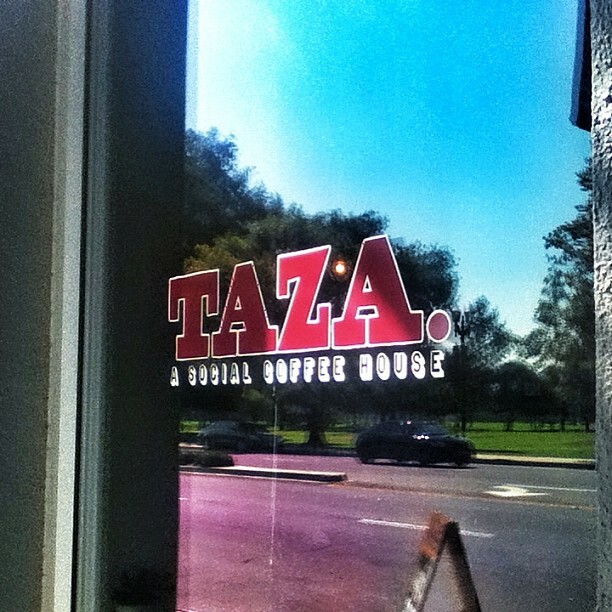 I mean huge, thanks to the customers at Taza for the tip off again. 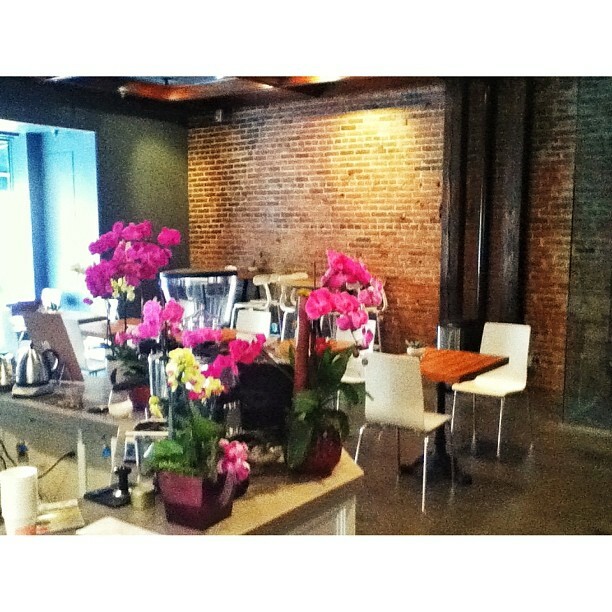 There is a connection with one of the Cafe Dulce founders and the Asian American staff were friendly and skilled, happy to recommend. 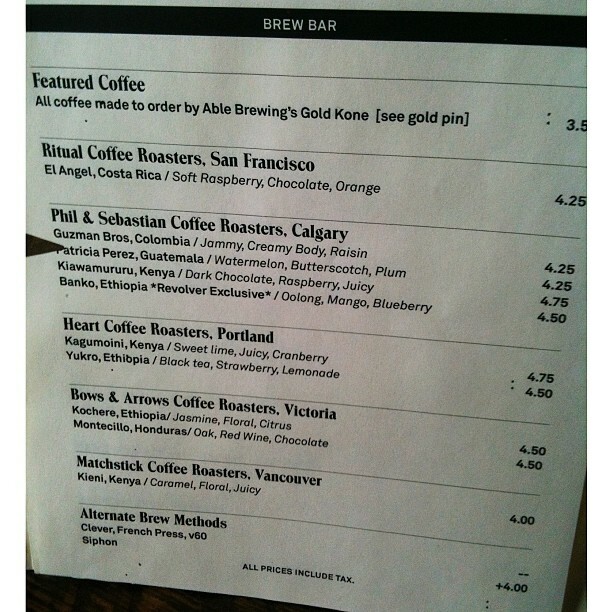 Roasters included Ritual (mostly), 49th Parallel and Verve. 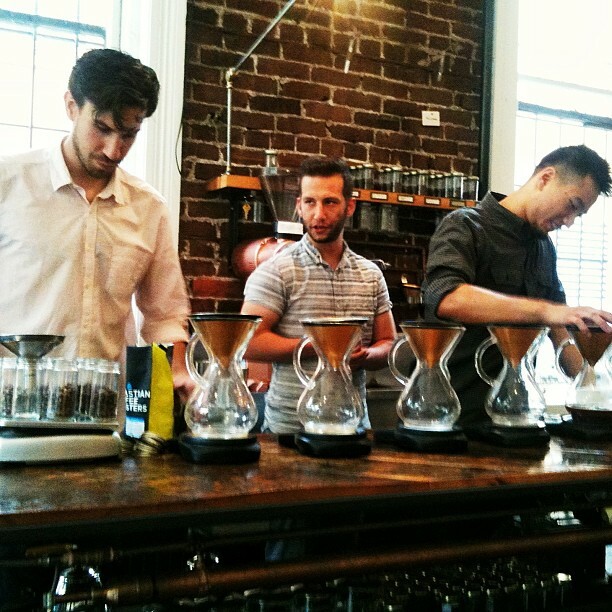 I was impressed with the latte art being dished out at a pace but opted for a filter: a V60 of a Kochere from Ritual. Earlier in the summer I had adored a Kochere from Anthology (Hama) and had a very decent one fro Square Mile but the Ritual one was too dark in my opinion. 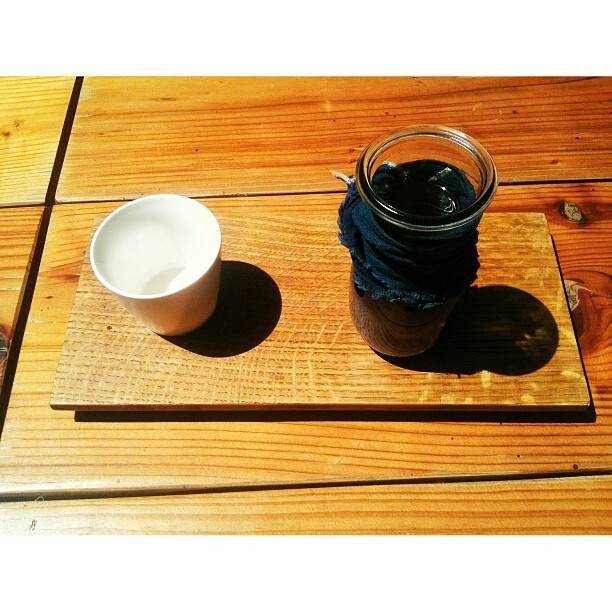 The dark toffee flavours disguised the tea-like flavours until the coffee was quite cool, then the tea, kombucha and vegetal notes came through. The barista offered me a sample of a Verve Guatemalan Concepcion Chuito Bourbon cold brew ( that was so very good I ordered a whole one. It was huge, a giant plastic beaker of ice and coffee. The coffee was so naturally sweet I jokingly asked if it had been sweetened, which of course it hadn’t. Orange and orange blossom notes dominated. I’d had a quick Black Cat flat white the evening before (yes, a flat white!) which had sadly suffered from thin undertextured milk. Despite this, a pronounced black cherry flavour did come even in the milk and made me regret not ordering espresso. 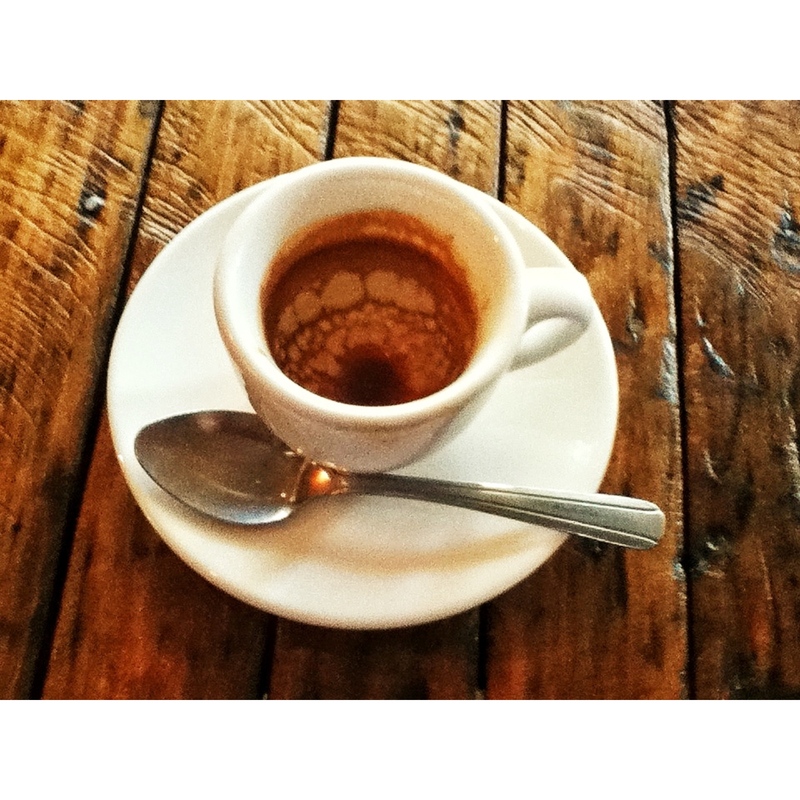 So the next day, following my Copa Vida visit, I began with the guest espresso – Tambor. This was intense (a little dark and tobacco tinged but with a nice mouth feel and a syrup sweetness. There was a slight disguised hint of grapefruit or perhaps the elusive promised tangerine. 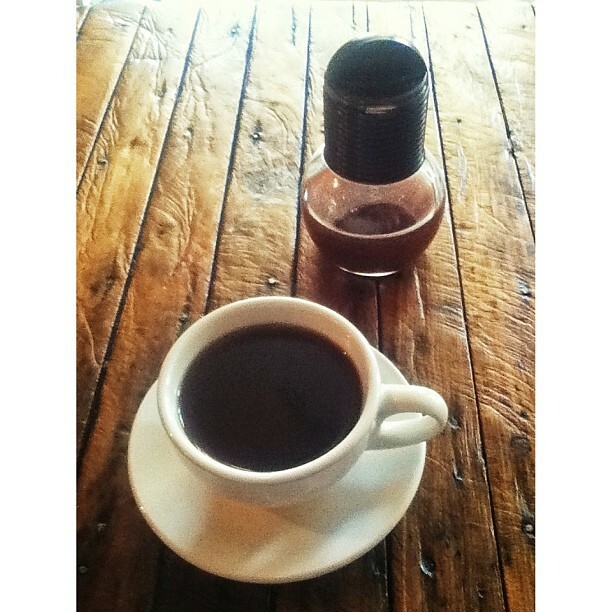 The featured filter was an Ndaroini (a $7 aeropress), this promised pomelo, redcurrant and honeydew melon. Again it was fairly dark and black tea dominated at first with the promised citrus tastes and fruitiness only appearing when cooled. By now I was heavily over-caffeinated and only a truly wonderful salted chocolate ice cream from Coolhaus enabled me to recover. 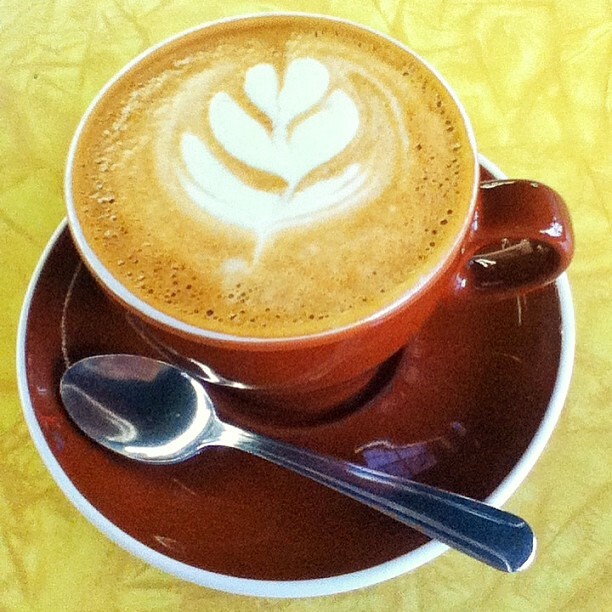 Why mention this place in a coffee blog? Well I noticed they served Handsome as filter so it’s another Pasadena option. 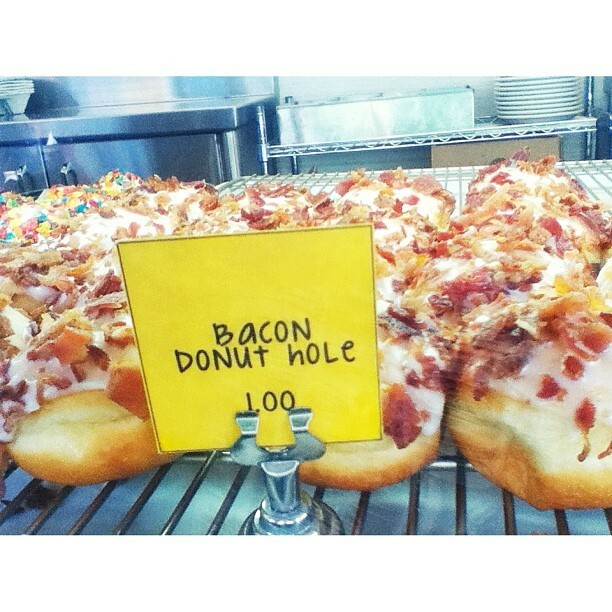 I’ll try it next year – maybe with the fried chicken and waffles ice cream. This entry was posted in eating and drinking, Uncategorized and tagged America, Canada, coffee, coffee roaster, espresso, roast, USA, West Coast. Bookmark the permalink. 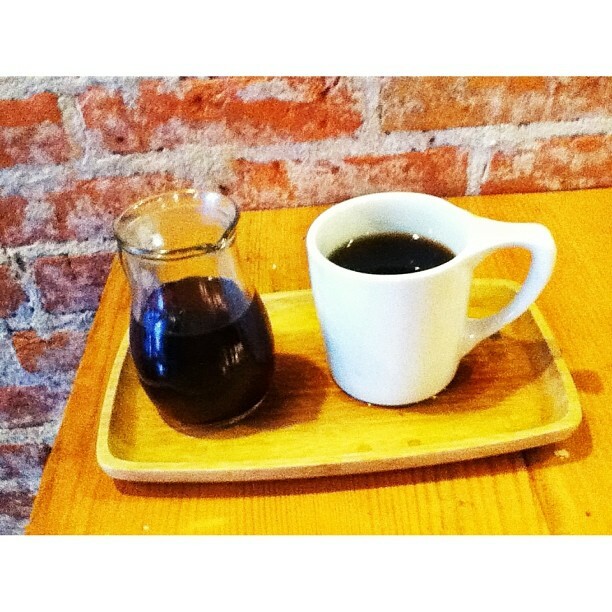 Great write-up on west coast coffee! I come from there myself – lived in SF and LA. 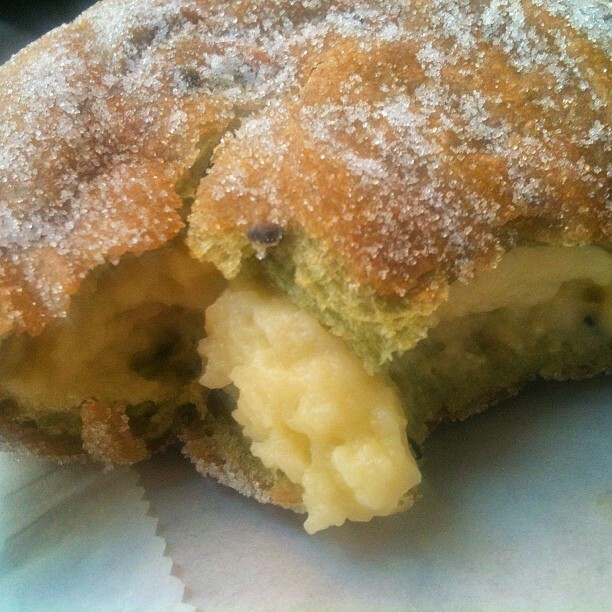 You made a great choice stopping by Cafe Dulce. It used to be my regular spot, and now that I’ve moved to London, I really miss it. Too bad about missing out on Handsome – I would definitely recommend it next time if you have the chance. And Philz if you stop by SF. Thanks. Very kind. I went to Handsome last year at least. 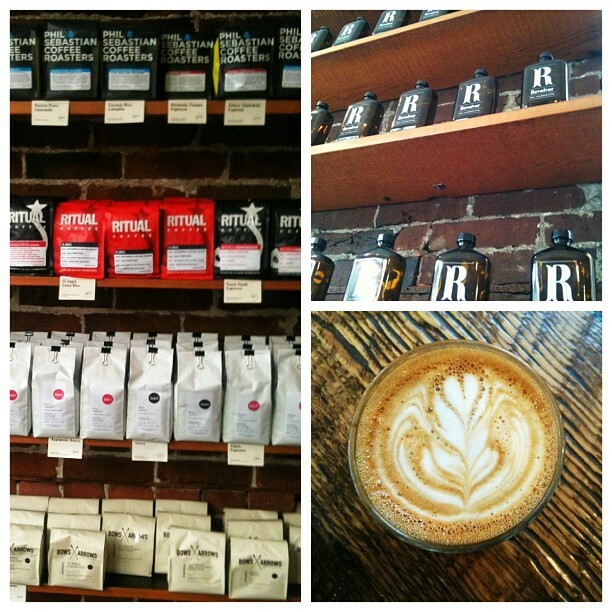 Yes, used to go to SF often but well before I was aware of good coffee! Haven’t been for years. Thanks so much for the way you guys looked after me when I visited. Wish I could have spent more time there! I’m glad the boys took care of you and hope to catch you myself on your next visit! Thanks for the comment Chris, must be a lot of work – but great work. I loved Revolver. I live in London, England but will return to Vancouver soon if we can. If you ever come to London, give me a shout!